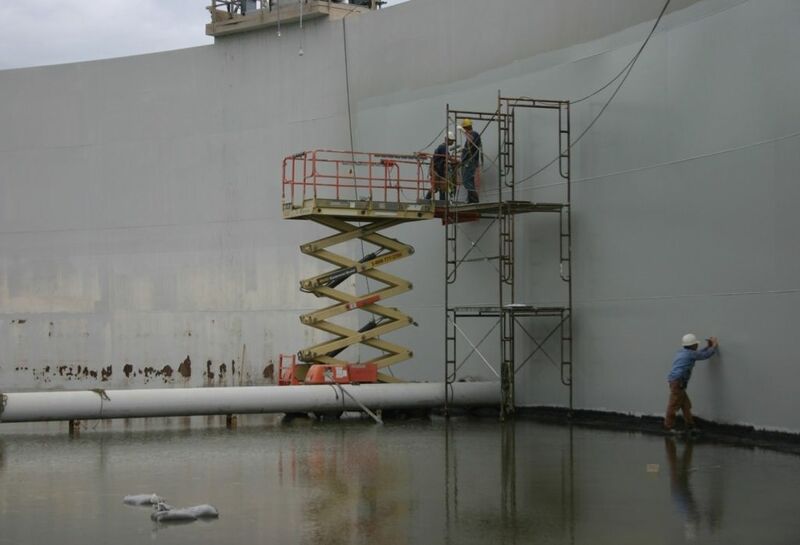 Staging and scissors lift being used to access the tank walls. 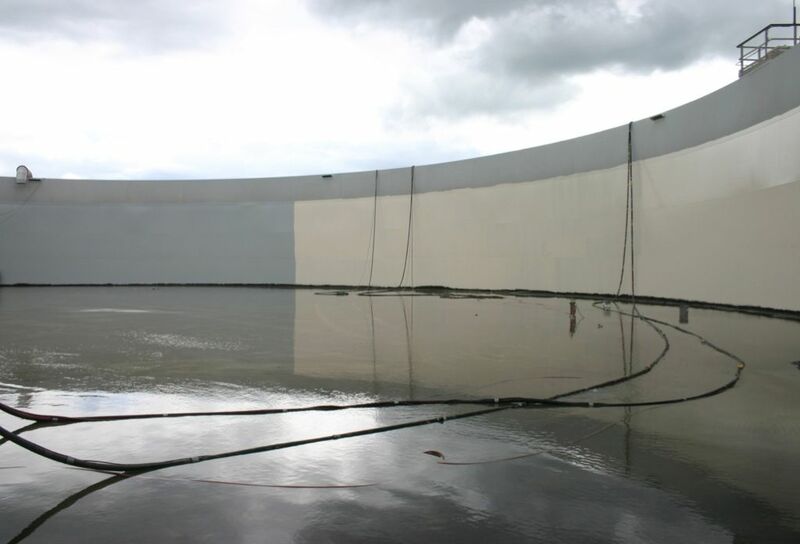 One tank section with primer only and one with finish coat. 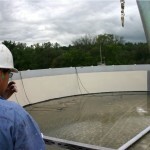 Rainwater in the tank made for challenging conditions, but job was finished on schedule and on budget. 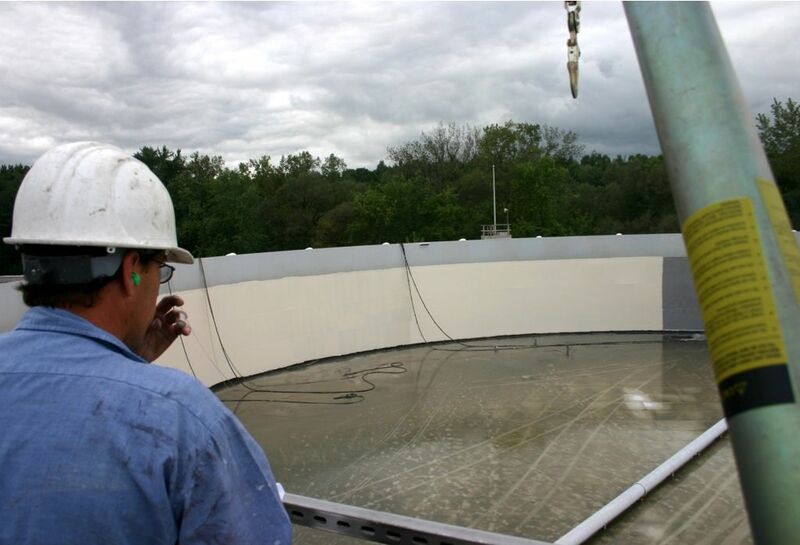 Phil Hutchins, Vermont Protective Coatings crew leader, supervises the job site at IBM. 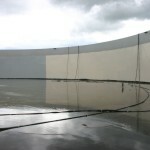 This 7,000,000 gallon open top tank is used for storage of waste water at IBM’s Essex Junction facility. 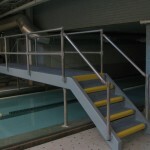 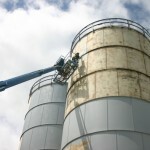 The existing paint was failing due to long years of service. 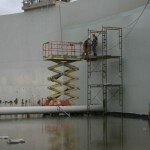 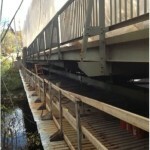 Vermont Protective Coatings sandblasted the tank to SSPC specifications and then applied two coats of epoxy paint.